Show and Tell will be on Wednesday. Students can bring in an item that begins with any letter. If your child is not in on Wednesdays, feel free to send the next day. •Polar Bear, Polar Bear, What do you Hear? This Monday morning we will have our rescheduled visit from the dentist. 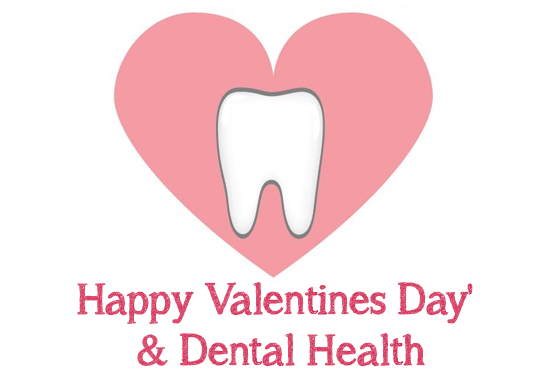 We will continue with our Dental Health theme. – Polar Bear, Polar Bear, What Do You Hear? by Bill Martin Jr.
– Panda Bear, Panda Bear, What Do You See? by Bill Martin Jr.
– making our own pizzas……Yum! This week we will be working on the W however our in class dentist trip will be on Monday as it was rescheduled from the last storm that we had so we will also be reviewing the T and doing some tooth projects. White pictures using chalk, paint and crayons . This week’s letter is S.
We’ll make colorful snails, handprint spiders and spotted snakes. We’ll practice the S sound and practice writing S.
We’ll review the seasons and the days of the week and the five senses. We’ll name and talk about nature’s sounds ( wind, thunder, leaves rustling, birds chirping, waves splashing). We’ll count and sort with seeds. 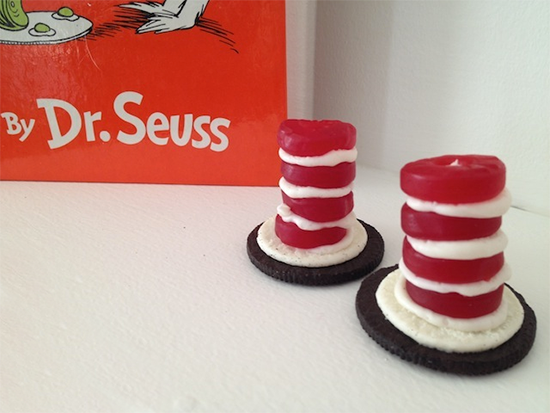 To celebrate Dr. Seuss’s birthday (March 2 ) we’ll read The Cat in the Hat, Fox in Sox and Green Eggs and Ham. We’ll make cat in the hat masks and delicious cat in the hat snacks (bananas, strawberries and marshmallows). The children really enjoyed playing outside on the playground!! Pre-K 3 is having a wonderful and exciting time at school! We have enjoyed the weather outside this week – the playground was so much fun!! We finished with the letter Q – we had so much fun making a queen and a Q-tip painting. We also reviewed our ABC letters. We practiced our numbers 1 to 3 with number object counting and number recognition. We reviewed our numbers 1 to 7. We continue to practice our colors and shapes. We continue to practice our manners, sharing, taking turns, and being kind to our friends. Next week, we will start the letter R.
We will make our letter R projects. Look for our rabbits, rainbows, and robots. Remember to wear your smile to school!!! As we enter our last week of February we will keep busy with many activities including our 100th Day Celebration. We look forward to our first Science Class on Friday! We’ll continue this week reviewing letters A-Q and numbers 1-15. We’ll make rabbits and rainbows, practice the R sound and search through our R box for items beginning with the letter R.
At circle time, we’ll continue learning about the food pyramid and foods that keep us healthy. Together, we’ll make a food pyramid! We’ll have a lesson on the water cycle ( precipitation, evaporation, condensation) and make our own rain ( cotton balls and water)! The first one said, Wake up so we can play! The second one said, Let’s stomp on the ground! The third one said, Let’s roll around! The fourth one said, Let’s run and run and run! The fifth one said, I’m afraid I feel the sun! “Oh dear,” cried the snowmen, as they looked toward the sky. 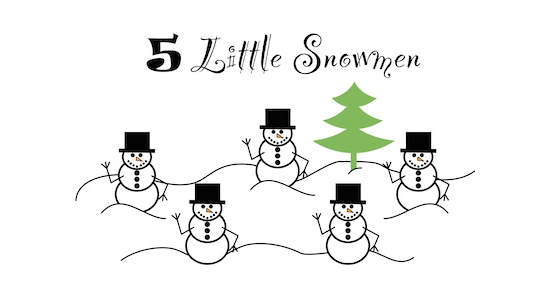 And the five melting snowmen waved a fond goodbye! We’ll make an edible rabbit ( rice cakes, apples, carrots and raisins) and enjoy our healthy snack!! We had a great week at school – so much fun celebrating Valentine’s Day! The students loved sharing valentines with their friends. We are continuing to practice our letters, colors, shapes, and numbers. We are working on reviewing the numbers 1 to 7. We have finished the letter Q – look for our queens and Q-tip paintings. Next week, we will review our letters A to Q and begin the number 8. We are having fun playing our valentine number game with valentine candy hearts! At circle time, we continue to discuss the days of the week, the months of the year and sing our poem song. Music class is so much fun singing and dancing!! We continue to practice our manners, sharing, and being kind to our friends. This will be a short week due to the holiday – school is going by so quickly! Remember to wear your smile to school!! Penny Experiment ( students will be coming home with a penny from the experiment, so be sure to ask them about it. There are lots of fun things going on this week! Monday we have our visit from the dentist to celebrate Dental Health Month. Also Tuesday is our Valentine’s Day party. Please wear red or pink on Tuesday. Making teeth and toothbrushes with different textures. Creating a rainy day picture with our own umbrellas. 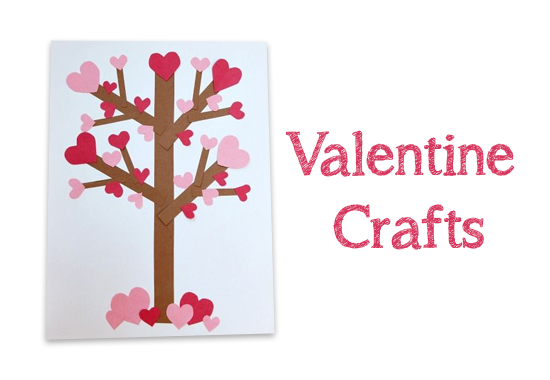 We’ll celebrate Valentine’s Day on Monday 2/13 with a party, craft, stories, exchange of Valentine cards and Valentine Bingo ( alphabet and number). We’ll use Valentine conversation hearts and numbered muffin tins for a math counting and sorting activity. 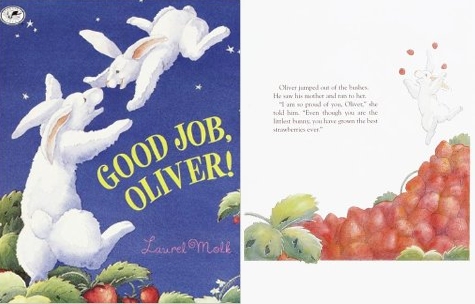 We’ll continue our lesson on the food pyramid and read Good Enough to Eat by Lizzy Rockwell. We’ll also read Give Me Half by Stuart J. Murphy and learn about fractions ( halves and quarters). Look for our George Washington and Abe Lincoln crafts which we’ll make after stories about both presidents and talk about President’s Day! To review letters A-Q we’ll use letter cards and Legos for a letter formation activity. We really had a big snow storm – waiting for spring!!! We have finished the letter P with so many great letter projects. We made pineapples and penguins – so much fun making the pineapple stem with our hands!! At circle time, we enjoy talking about the days, months, seasons, and weather. We discussed what to wear for winter clothes, especially on a snowy day. We are singing our song – One, Two, Buckle Your Shoe and have sooo much fun dancing to the Hokey Pokey – calling out body parts for the circle dance. We continue to practice our manners, taking turns, sharing, following directions, and being kind to our friends. Our next letter is the letter Q. We will make beautiful queens and paint with Q-tips! School is going by so quickly – but it is so much fun – learning new things every day! Have fun playing in the snow!! Remember to wear your smile to school! 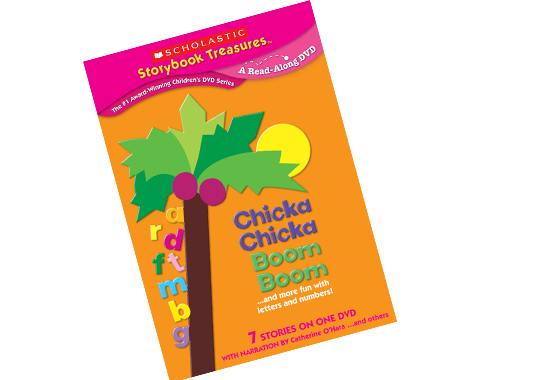 We read Chicka Chicka Boom Boom and made our own palm/ coconut trees with pretzels, apples, grapes and Alpha bits cereal! The children loved creating their trees and enjoyed the special snack. We’ll review letters A-P and numbers 1-15. This week’s letter is Q. At circle time will talk about how asking questions is the way to get information and I’ll ask the children to pull out questions ( about school, their surroundings letters and numbers etc. ) from our question box! We’ll make queens with sparkly crowns and colorful quilts and paint with Q-tips. We’ll finish our lesson on the solar system and start learning about the food pyramid. School is going by so quickly. 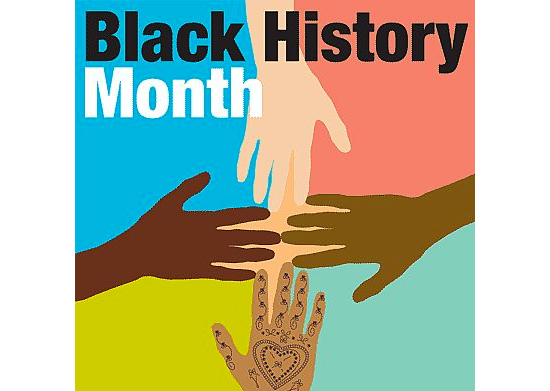 The month of February is here already! We are continuing to practice our letters, colors, shapes, and numbers. We are working on the number 7. We have finished the letter O with so many great letter O projects. We made owls and octopuses and edible fruit flowers using O for oranges. At circle time, we enjoy talking about the days, months, seasons, and weather. We discussed what to wear for our winter clothes that help keep us warm – our scarfs, hats, mittens, boots, and jackets. We are having fun singing our poem – One, Two, Buckle Your Shoe. We are also reviewing our body parts through song and dance. We continue to practice our manners, taking turns, sharing, following direction, and being kind and considerate to our friends. Our next letter is the letter P.
We will make penguins and learn about where they live. We will make pineapples and snack on fresh pineapple. School has been so much fun – Remember to wear your smile to school!!! This week we will begin working on writing our first names. Your child will be bringing home a personalized worksheet that you can make copies of and use to practice at home. Chicka Chicka 1 2 3 by Bill Martin Jr.